TransPack: Sequence is a package of 15 preset divisions with 6 animations each for a total of 90 possible transitions. TransPack: Sequence is incredibly easy to use. Simply drag and drop a preset between two clips and choose an animation from the drop-down menu. Change scenes with beautiful and minimalistic style using TransPack: Sequence for Final Cut Pro X. Using TransPack: Sequence is incredibly easy. 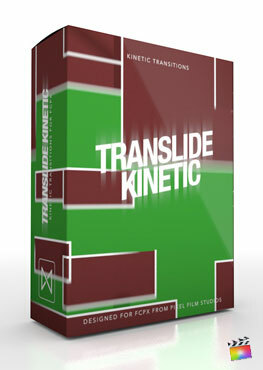 Browse through TransPack: Sequence’s presets in the Transitions Browser and drag the desired transition between two video clips in the timeline to use. Using the Inspector window, navigate to the Direction drop-down menu to alter the direction of the animation. There are 15 presets included in TransPack: Sequence. Each preset includes either a horizontal, vertical, or diagonal layout and between 2-6 sequential divisions. After choosing a preset based on layout type and amount of divisions users can choose an animation from the drop-down menu to further customize transitions. TransPack: Sequence’s minimalistic style makes it applicable to any video production. These transitions can be used effectively in fun, upbeat videos as well as slow-paced more tonally serious productions. TransPack: Sequence’s versatile style allows it to be used in a variety of productions. TransPack: Sequence is a transition package designed exclusively for Final Cut Pro X. 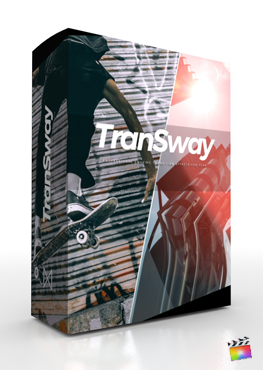 After installing, users can find all TransPack: Sequence presets in the Transitions Browser. First, select a transition and place it in the timeline between two clips. Then, utilize the incredibly easy drop-down menu to change animation style in the inspector window. I installed TransPack: Sequence and see a red screen similar to this. Where do I find TransPack: Sequence? Once the installation is complete, you can find TransPack: Sequence in the FCPX Transitions library. Where is the tutorial for TransPack: Sequence?